How to create private nameservers on LogicBoxes panel , To create private name servers its very important for a reseller or hosting provider . beginners really want to create private name server badly . The tutorials will help who use LogicBoxes control panel . specially Resell biz , Resellerclub are providing the control panel . Its very simple , just we need to complete two steps. 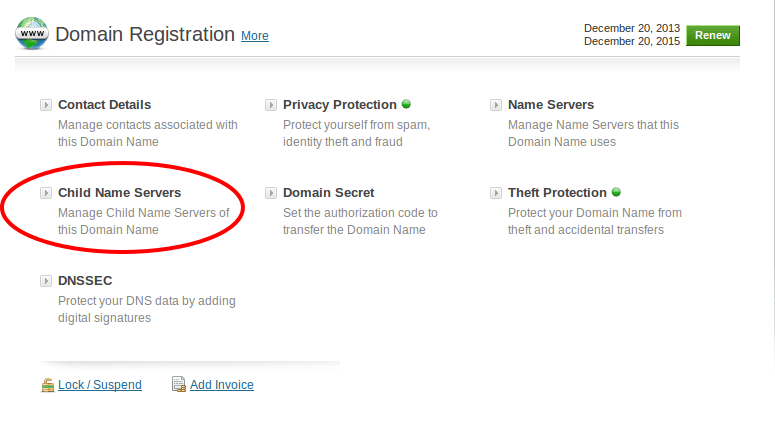 one is Add child name server and another add “A” record in cPanel. Then Write your Ns ,TTL & IP. You need to add two record one is for ns1 and another for ns2. and thats it. 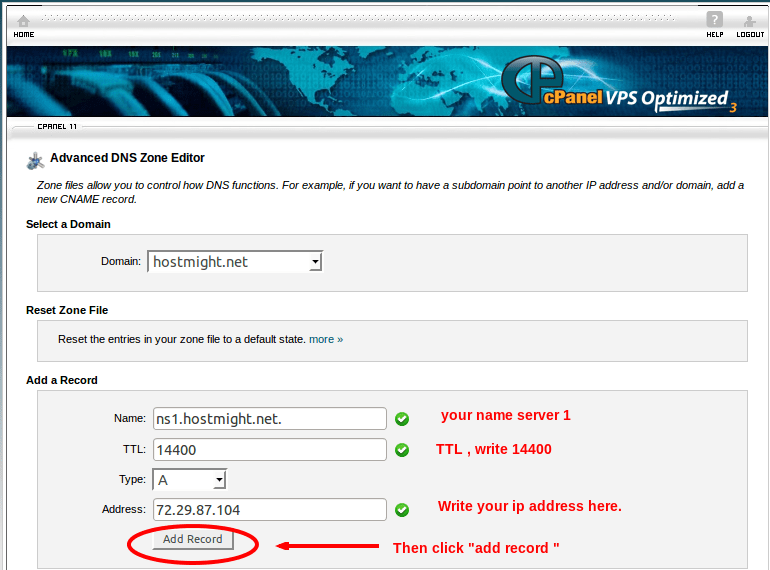 FAQ: What is my Ip address ? Ans; its your server ip address , you can contact your hosting provider & request them to sent you ip address .